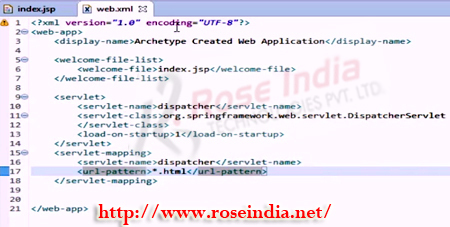 Spring 4 MVC Example - Video tutorial for beginners in Spring and wants to learn how to create first Spring 4 Web MVC application and deploy on the Tomcat Server. 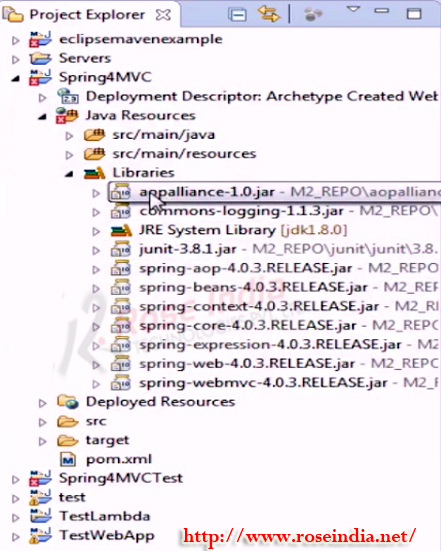 This Spring 4 MVC Example is developed using Maven and the Eclipse IDE. 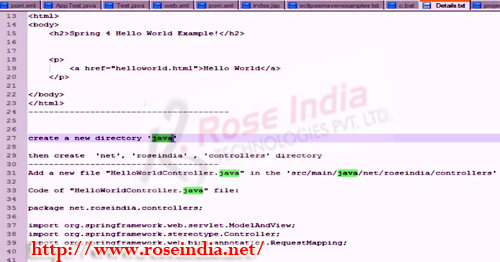 In this video tutorial I will explains you the steps to write Spring 4 MVC based 'Hello World' application which simply displays the 'Hello World' message on the web browser. First of you will learn Features of Spring 4 Framework and How Spring MVC Module Works?, and then you can start learning this example. Prior basic information will help you master the example given here easily. 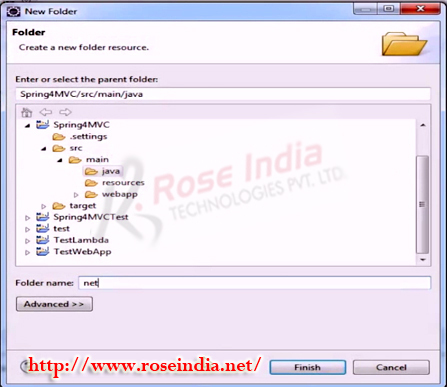 Spring 4 MVC Framework is very flexible framework for making a web application. 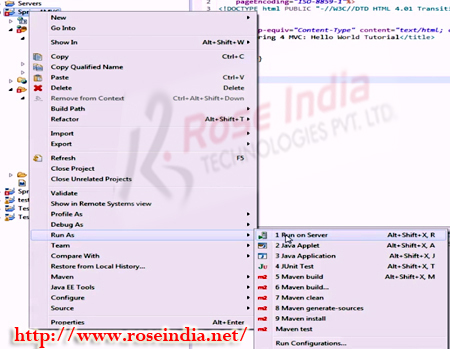 It provides the necessary infrastructure to develop the MVC based web application quickly. In this tutorial we have explained you how to make a web application in Maven, import project in Eclipse, Add Spring dependencies and finally add the code and run the example from Eclipse tool. What you will learn in this Spring 4 MVC tutorial? 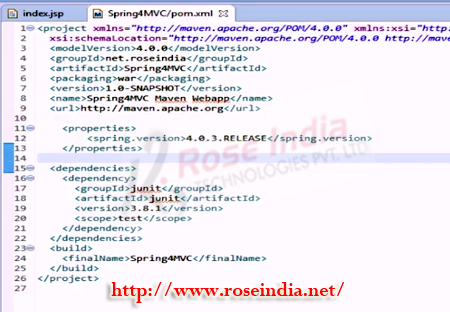 Here is the video tutorial of: "How to Build Spring 4 MVC Web Application In Eclipse using Maven?" 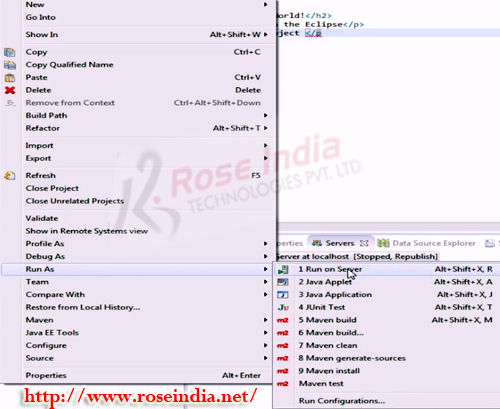 Step 1: How can create spring 4 MVC application in Eclipse?. 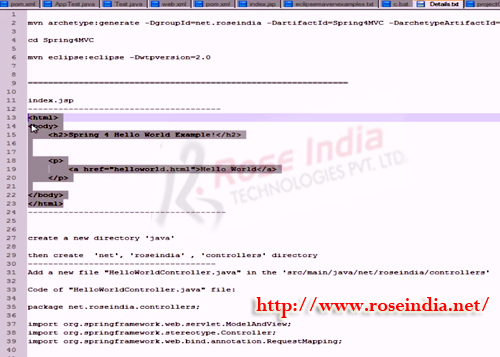 Here you will learn to write your first Spring 4 MVC application. You need JDK 7 or above, Eclipse, Maven and Tomcat server. You first step is to keep these software ready with you. Step 2: Go to the Directory where want to create the project. 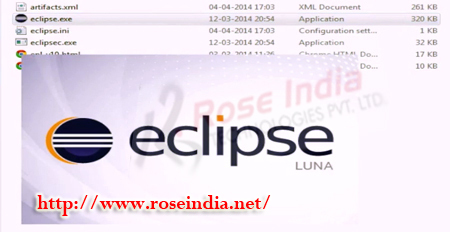 Step 3: Then create the project for eclipse. 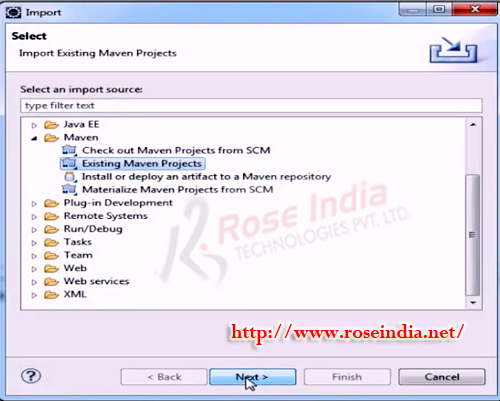 Check the tutorial: Maven Web Application: Creating web application in Maven 3 for mode details about creating a web application in Maven 3. Step 4: Go to the eclipse File -> then Import and existing maven project. Step 7: So is Deploy the project and massage is Display. 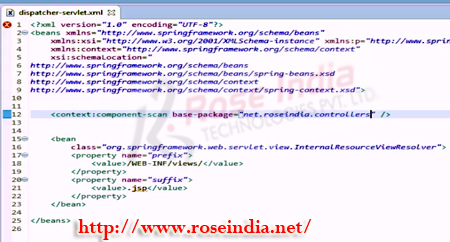 Now type http://localhost:8080/Spring4MVC/ and it should display the default message. Step 8: So now stop the tomcat server and start Adding the spring specific Code. Step 9: When you type the 'helloworld.html' in the browser it will call the spring MVC controller and then Display the results. Step 10: Then create the directory in Java. 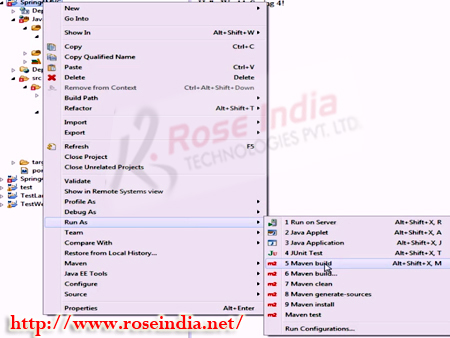 Step 11: it is create in java -> net -> roseindia -> controller directory. Step 13: Spring version used is 4.0.3.RELEASE as shown below. This will add the spring jar files into Eclipse project classpath and you will be able to run the application from Eclipse on Tomcat. Step 16: So will be adding maven literary in to the eclipse project. Step 17: then start in eclipse. Step 18: so this spring library. Step 19: Now will create in controller plush (hello word controller). Step 20: this method will be call hello word link. 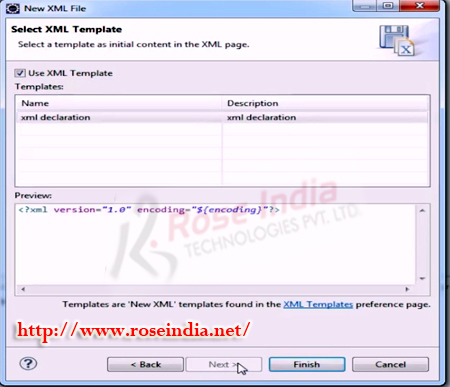 Step 21: will add the servlet in the web xml directory. Step 22: We are scanning the roseindia controller. Step 23: Then entry of the web.xml file and dispatch in servlet mapping and all the reque done by the controller. Step 24: so will be web.xml file or dispatcher.servlet.xml file or index.jsp file is ready It is returning "hello word". 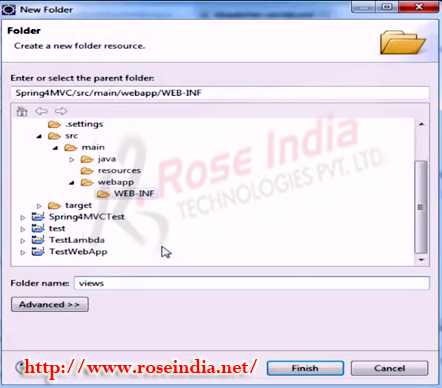 Step 25: so will create new directory call web-INF -> new -> folder -> views. 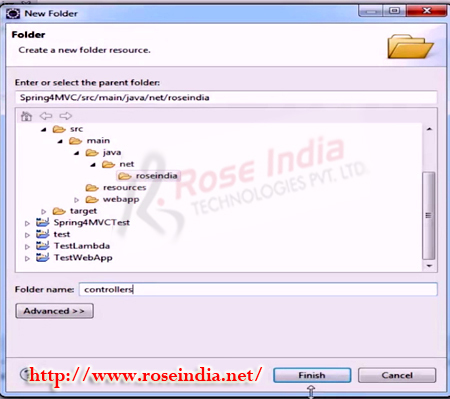 Step 26: then will create the file jsp hello word (file -> new -> jsp). Step 27: Then we can execute go to the property -> deployment -> add -> java build path Entries -> next -> select all jar file -> finish. Step 28: to run the application tomcat server. Step 29: so explain how to create in project in maven import in to the eclipse id add this Required dependency in the spring pom.xml file and run the tomcat server. 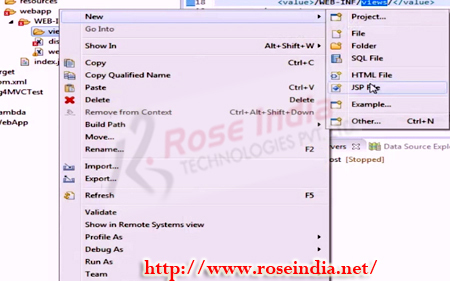 So, in this video tutorial you have developed your first Spring 4 MVC we application. 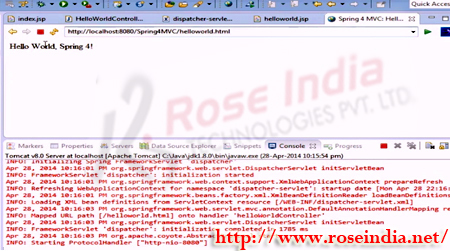 Download Source code of the Spring 4 MVC HelloWorld Application. Check more tutorials at Spring 4 Tutorials section.